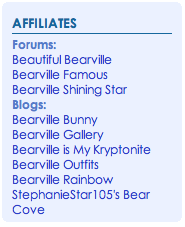 You will also be listed in the affiliates topic, which you can find above! So, what are you waiting for? We’ll be looking forward to affiliating with you! *We reserve the right to remove you from the affiliates list if you break the rules in any way, shape, or form, or if you cause drama someplace else and then bring it onto BRD. You must also have a link to BRD somewhere prominent enough on your blog (e.g. on your blogroll).